Property 8: Gatlinburg, Private , Hot Tub, Fireplace, Pool Table, Close to Attractions! Property 9: Nightly Specials Spring, Fall & Winter., Weekly only in summer. FAST WiFi! Property 12: Cozy Log Home 3 Minutes From Downtown! Property 13: Great Mountain View_Luxurious King Suites! Property 15: Cloud Nine: Charming Mountain Cabin, Amazing Views! Property 18: HONEYMOON HIDEAWAY - ROMANTIC ANTIQUE LOG CABIN CLOSE TO EVERYTHING!!! 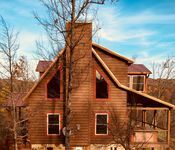 Property 26: There is nothing better than getting away to a romantic cabin in Gatlinburg with fanastic views. Property 27: 2016 Newly Constructed Cabin Minutes From Downtown Gatlinburg! Property 29: $108 A NITE-MAY ONLY-PRICE SLASHED-HUGE HOT TUB! 2 COVERED DECKS-STUNNING VIEWS! Property 30: Perfectly cozy romantic cabin with a relaxing view of a tranquil pond. 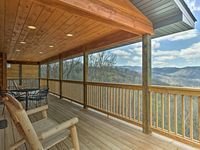 Property 32: Gatlinburg Cabin w/Deck, Hot Tub & Mountain Views! Property 34: A Black Bear's Hideaway/3 King Master Suites/Perfect Location to Dowtown!! Large Luxury 5 Bedroom Cabin In Gat Falls Parkview w Theater! NEW PHOTOS! Property 35: Large Luxury 5 Bedroom Cabin In Gat Falls Parkview w Theater! NEW PHOTOS! Property 36: Honeymoon Cabin, VERY Secluded, Jacuzzi, No Fees, Close to Town, HOT TUB!!! Property 37: Great one bedroom with open area living, dining rooms and kitchen. Whirlpool tub in MBR. Hot Tub. Property 41: Weekday Special! Only $120 A Night Though May. Property 43: ~CAVIE'S COVE~ Charming cabin in Gatlinburg with BEAUTIFUL MOUNTAIN VIEW ! Property 49: Elegant Cabin in Perfect Location-! Private but close to Everything!